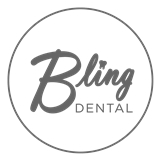 Bling Dental (Portland) - Book Appointment Online! ***Please note that this practice also accepts Aetna, Guardian and Metlife insurances Welcome to Bling Dental! We provide Cosmetic Dental Services for Teeth Cleaning, Whitening, Crowns, Fillings, and more in Portland, Oregon. We are located in Portland's thriving Pearl District. At Bling Dental, our goal is to make you as comfortable and informed as possible. We offer state of the art dental services and we are excited to introduce them to you, your family and your friends. If you’re happy with the results of your visit – and we think you will be – you’re going to enjoy the added benefits of External Bling when you come in for a regularly scheduled exam. ** Please be advised if you are looking to book a CLEANING, BE SURE to make your visit reason "Dental Cleaning" on Zoc Doc before you book. You get to sit in a massage chair during all oral procedures and you can watch movies during cleanings and other dental work. In addition I was able to get free whitening with my first visit!